Mark is the area manager for our NJ clinics. He graduated from Ithaca College in 2006 with his doctorate in physical therapy. He specializes in spine and sports injuries. He built the Flanders center in 2012 and grew the practice to be a larger center with multiple clinicians. Mimi joined Drayer in 2012 and immediately built an outstanding rapport with her patients and the local community. She specializes in occupational medicine and return to work programs. She completes Functional Capacity Evaluations (FCE’s) to assist in patients’ safe return to work. Mimi is passionate about treating “ the whole patient” and getting involved in the patient’s life to ensure full recovery of function. Payam graduated from Sacred Heart University, where he competed at a high level for their Division I wrestling program. 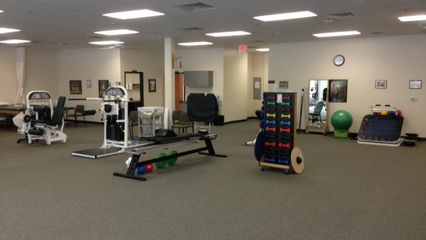 He treats a wide variety of patients ranging from high level athletes to the elderly. Katherine is a neurological and orthopedic Physical Therapist, with additional training in vestibular rehabilitation; treating vertigo, dizziness and imbalance in people of all ages. She also has experience treating post concussion impairments, low back pain, neck pain, headaches, various nerve injuries, sports injuries and post operative patients. She truly believes in the importance of individualizing treatments to each specific person. Katherine is mainly a part time PT, as she enjoys spending time chasing around her young son and likes to bake, hike, run and read a good book. Dr. Marla Ranieri graduated from Stanford University with her BS and Columbia University with her Doctorate in Physical Therapy in 2009. She completed an orthopedic sports residency at the Hospital for Special Surgery (HSS) and received her board certification as an orthopedic clinical specialist (OCS) by the American Physical Therapy Association (APTA) in 2013. Marla specializes in treating young athletes, especially treating dancers and gymnasts. Marla was an international elite gymnast and a scholarship gymnast at Stanford University. Marla works with the USA Gymnastics Medical Staff and travels with them for prestigious competitions. Marla also specializes in Sport Specific Injury Prevention Assessments geared towards finding strength, ROM, flexibility and functional movement pattern deficits. The goal is to create an exercise program targeted at stopping injuries before they happen.